We have loved the last two weeks as a family, which was my favorite gift I received this Christmas. Lawyer took time off of work and we have been creating amazing memories for days. Yesterday was the official last day of vacation for all of us and I may have gone to bed quite sad last night. I do love my family and the time we spend together is so precious to me!! It has been an amazing two weeks with lots of fun things ... it was fun to pull photos for you today and look back at our memories! My first event at J.Crew was amazing!! 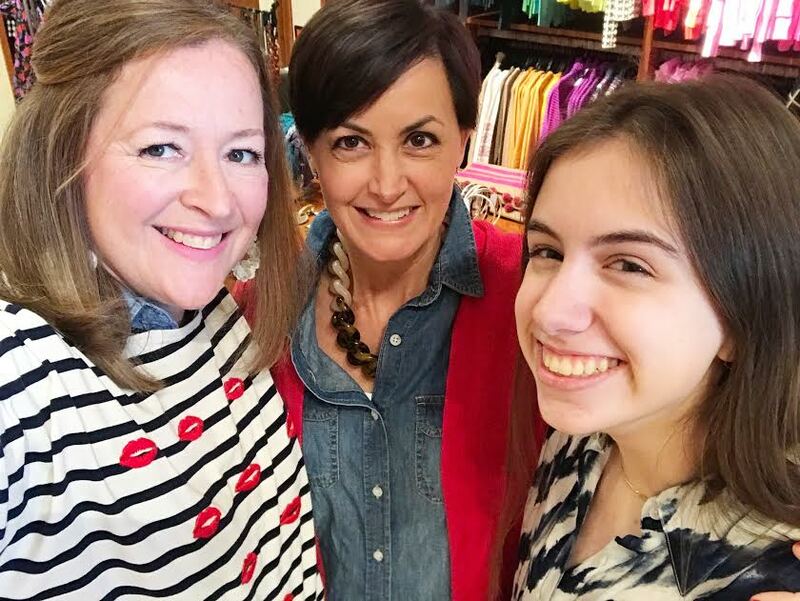 I loved seeing fun friends at the store and it was so fabulous to help them shop for themselves and for others. We found a jacket for my cute assistant's mother and a fabulous coat for a friend whose mother is having surgery soon. Speaking of assistant's ... how cute are mine! I love when I am surrounded by a team who I could not manage large functions without! Love you two so much!! Anna Grace and I had the gift of spending some time together during her Christmas break. 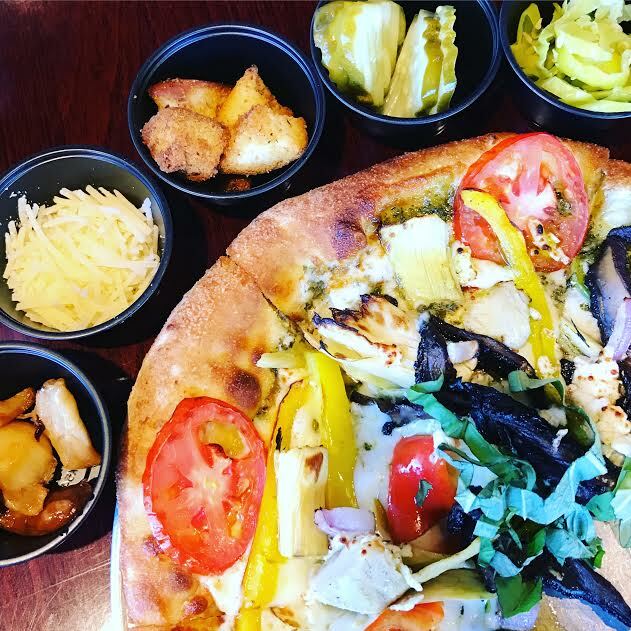 I introduced her to the amazing veggie pizza at Newk's Eatery and the amazing truffles at Lolli & Pops. I always try to mix in some fabulous memories with our time together. AG is such a gift to me and I adore that little spit fire! I love seeing all of our stockings hung and ready for Christmas morning ... this was the first year we filled up the whole fireplace. Full fireplace = full heart! We ate many amazing meals and I loved using all my Design Design plates and napkins for easy cleanup. Christmas should be about the memories not the crazy dishes that need to be loaded and unloaded. How adorable are these plates? We were blessed with lovely boxes from those we love. How cute is this sign from my darling friend Natalie? It came with my favorite cookies and a precious Christmas book I will treasure forever!! There were plenty of cups of coffee with added whip cream and sprinkles and early mornings started by the light of the tree! I think every single cup should be served this way ... don't you agree? Oh, and ps. I do not take my trees down until the 7th of January. You will see more photos of our trees during the Christmas season. I delivered this adorable gift to my precious friend Skipper. 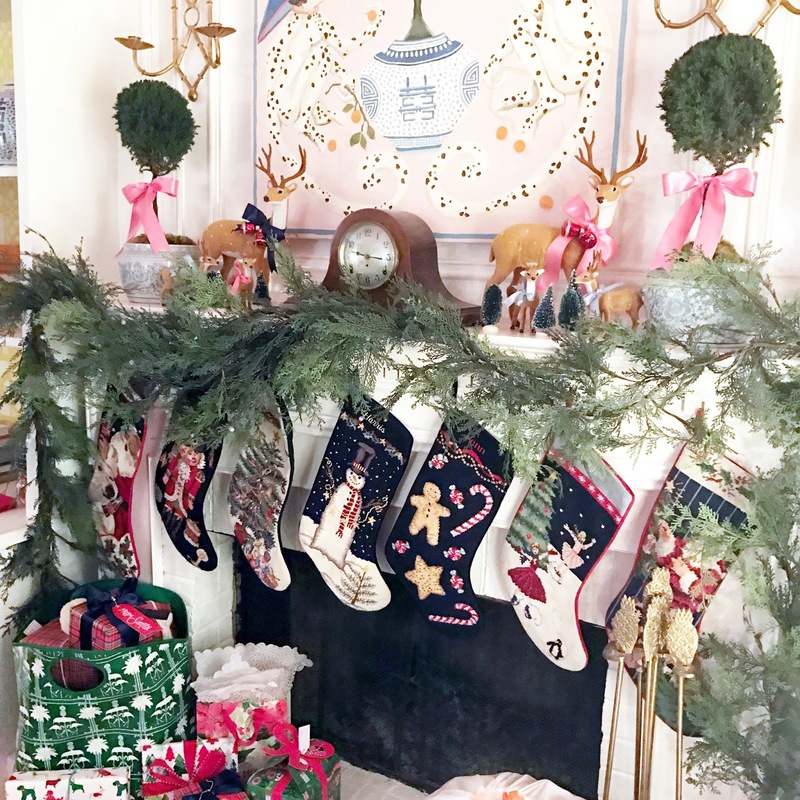 I made her a vintage Christmas house personalized for just for her with lots of darling add ons including a pair of rain boots with tiny little bows. 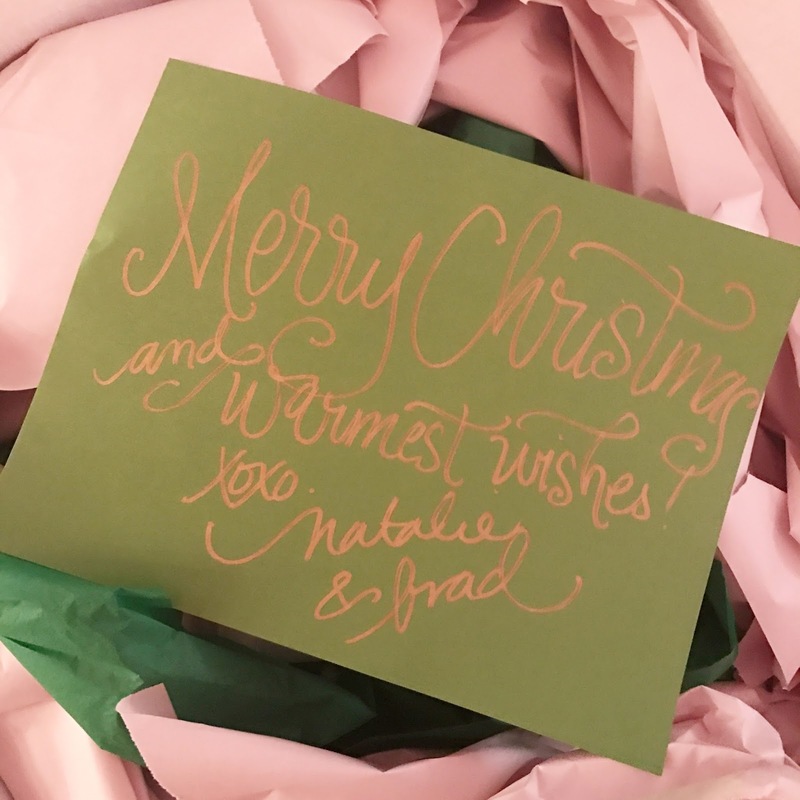 I had the best time making this gift and was so giddy to deliver it. You have to love a friend you can show up to see in your pjs. 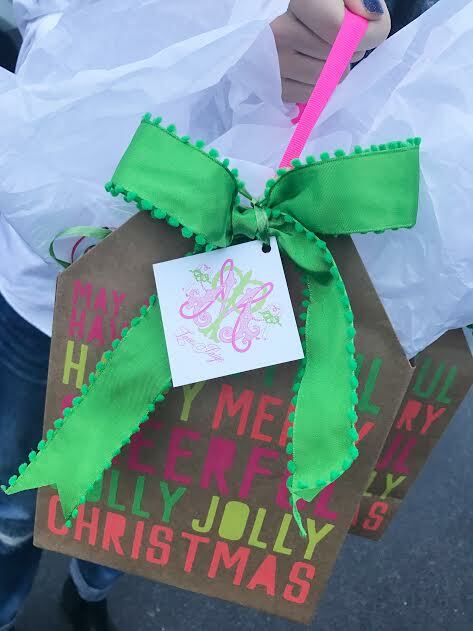 I have vowed to make one gift each year and it has been the best part of my Christmas each year that I adopted the tradition. The best gift is always the one you don't want to give away, it fills your heart so when you do! The week between Christmas and New Years we were treated to a fabulous stay at Roostica Cottage in Highlands, NC. We loved hanging out and relaxing with our darling friends Ruthann and Eric Ross. The cottage is spectacular and the quality time with friends was perfect! We spent every single evening snuggled by the fire outside laughing for hours. Those fireside chats meant the world to me. Oh, and that cute puppy is just as darling in person as he is in photos. He was posing for me so I could snap a photo of him wearing his new Christmas scarf. Isn't he absolutely precious? 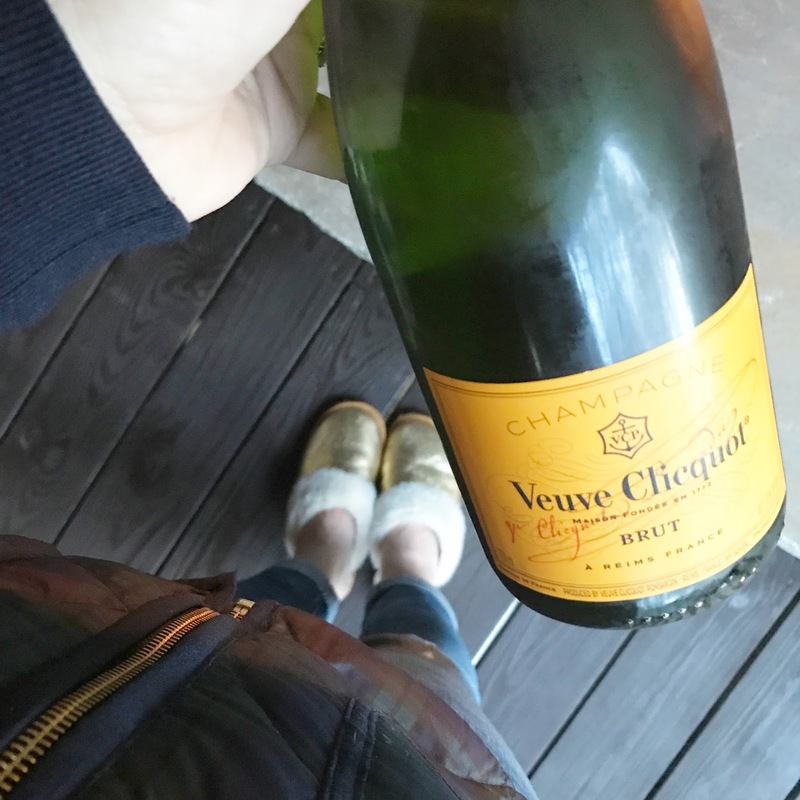 We came home just in time to switch gears for the new year. We spent New Year's Eve as we always do snuggled in for the evening with a movie and takeout. 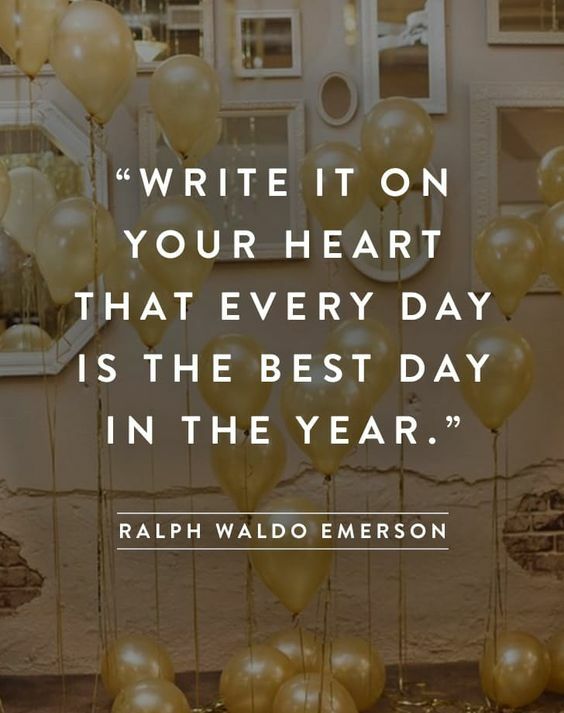 I do not like to go out and worry about getting home and now that we have children old enough to have plans of their own it is always special for us to spend the evening together reflecting on the year and prepping for another one together. New Year's Day we popped into our neighbors for a darling little get together. My job was to set up the bar cart which is my favorite thing to contribute. 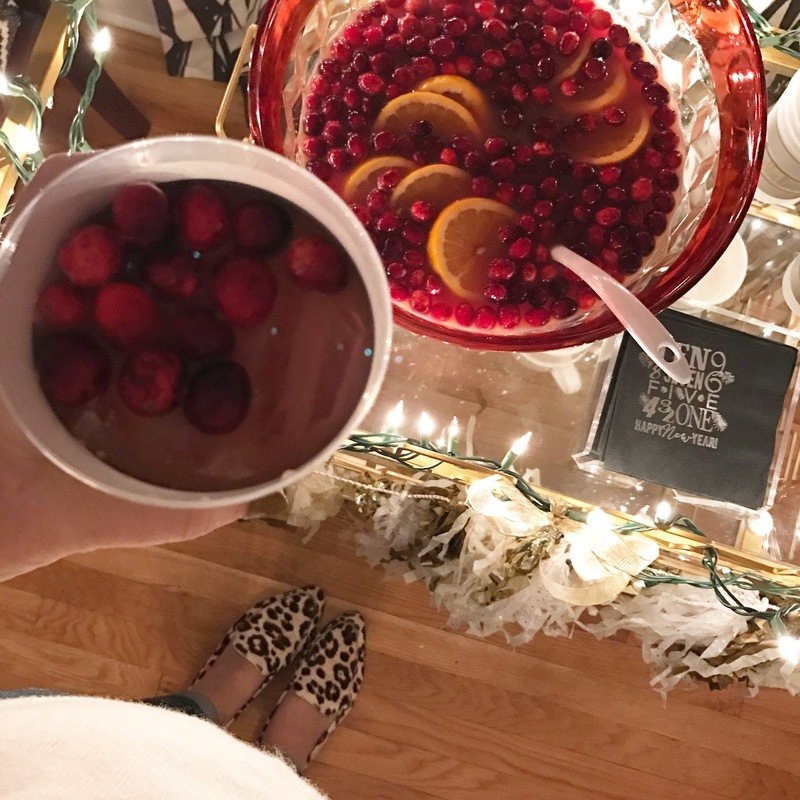 I whipped up a batch of this amazing punch and decorated the At Home bar cart with napkins, cups and straws from Sequins & Lipstick. 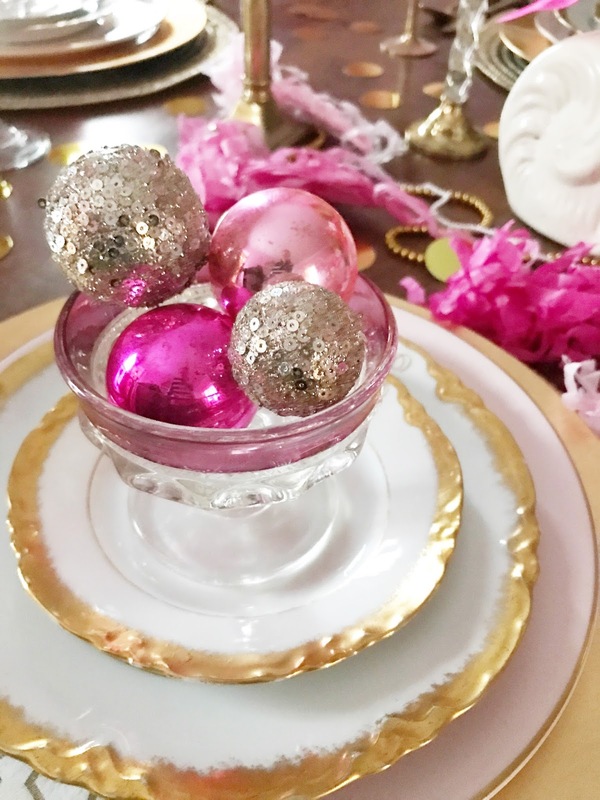 Tammy has the most darling things ... you must stock up for the new year of holidays. I set the table for the holiday and prepped for a yummy meal of pork, collards and black eyed peas. Does it get any better? As Southerners this meal is a must have for a year starting on the right foot!! I hope your holiday was restful and filled with new memories with those who mean the most to you! Cheers to a fabulous Christmas, a wonderful New Year and a year full of possibilities!! 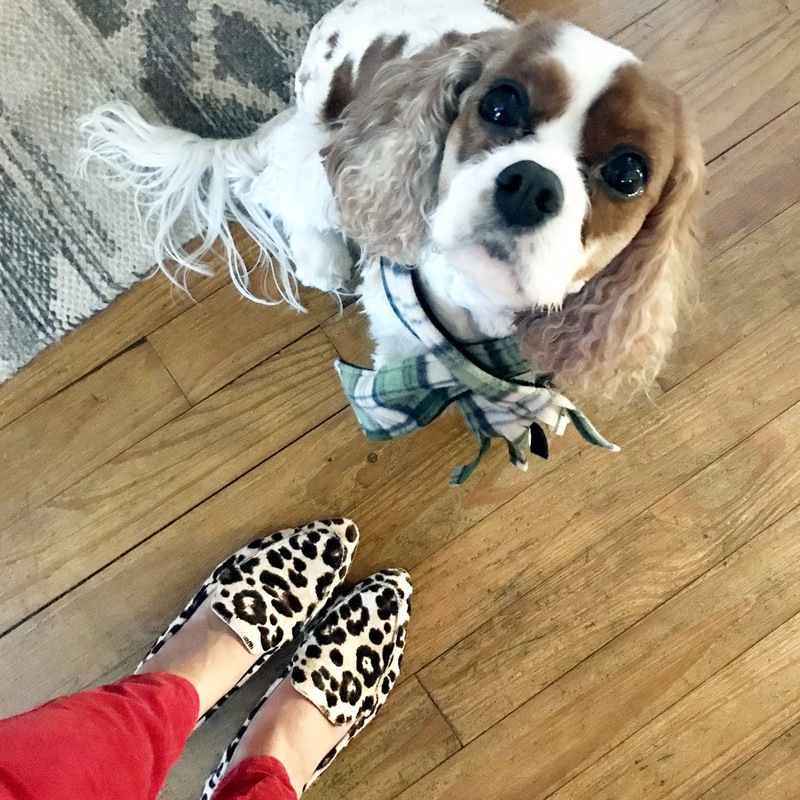 I love your spotted shoes! Any chance you can share the brand? 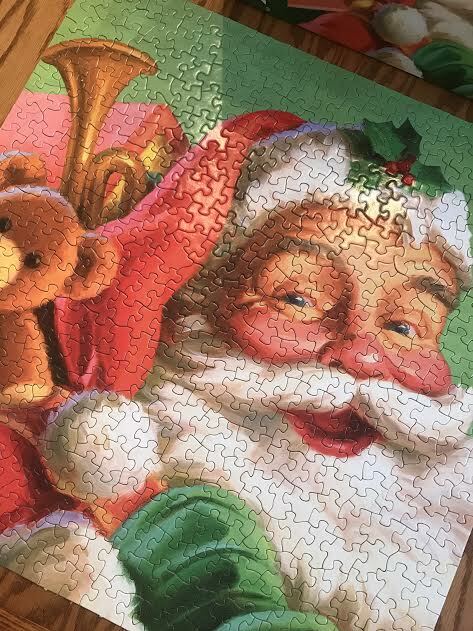 So glad you had a wonderful holiday season with your family. Love getting a peek at how you spent your time. I am thinking I need sprinkles for my coffee! Glad your sweet pooch was ok, scary!! Christmas vacation coffee is THE BEST. I teach high school, so I'm already seriously coffee-dependent. My favorite vacation "blend" is a cup of coffee with a packet of hot chocolate stirred in, whipped cream on top, and a sprinkle of crushed candy cane dust for the win. De-LISH.